Home Chinese Chinese Bamboo Plants collection Collecting and Raising Lucky charms feng sui Fortune Good Fortune good luck hobby lucky charm Lucky Chinese Bamboo Lucky plants My Collections A Lucky Chinese Bamboo Plant! Aside from collecting different cute angels, another thing that I'm busy with nowadays is raising the so-called Lucky Chinese Bamboo Plants! Are you familiar with it?! Yup, these pictures above and below show how a lucky Chinese bamboo plant looks like. 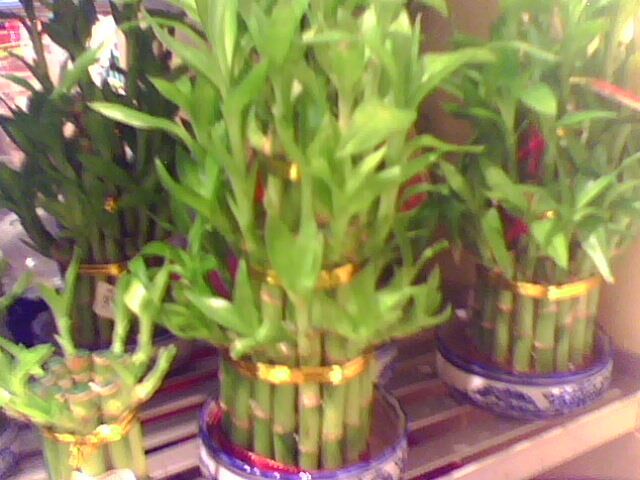 They are indoor plants which give us good fortune. They come in different variety. Each number of stems represent a good luck. For instance two pieces means good health, three pieces mean abundance, so on and so forth. Yup since they were indoor plants, you can use either water or magic jelly to raise them. The so-called "Magic Jelly" also varies in color. Each color represents different meaning. Say for instance pink means love, blue for tranquility, and green for health! In my next post, I will share with you how these magic jellies look like and how they work! In my case, I both use magic jelly and water. Two batches of my plants use water while the other two batches use magic jellies. Of course, I used the pink jelly for love and the green one for good health! What do think inspires me to raise these type of plants?! Well, just like angels, it's unexpected! Again, while roaming in one of the well-known mall in Makati, I saw these kind of plants. Then out of curiosity, I bought some! I bought 9 pieces of stems. They were divided into three groups placed in three glass bases with magic jelly. 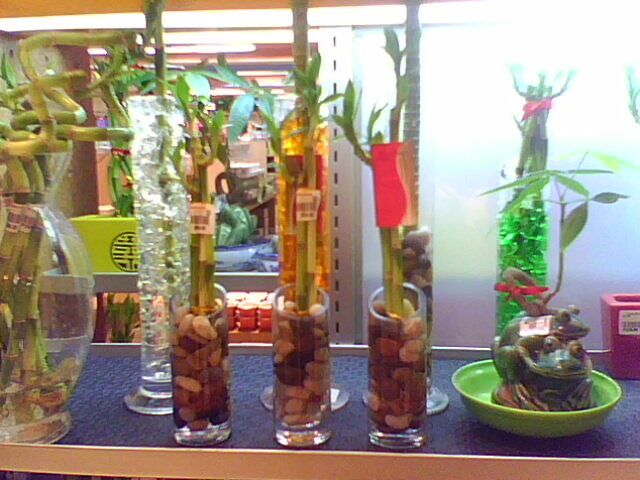 Each glass base contains three lucky Chinese bamboos! I used three color of jellies: pink, orange, and violet. Accidentally, the third base containing violet jelly felt and broke! 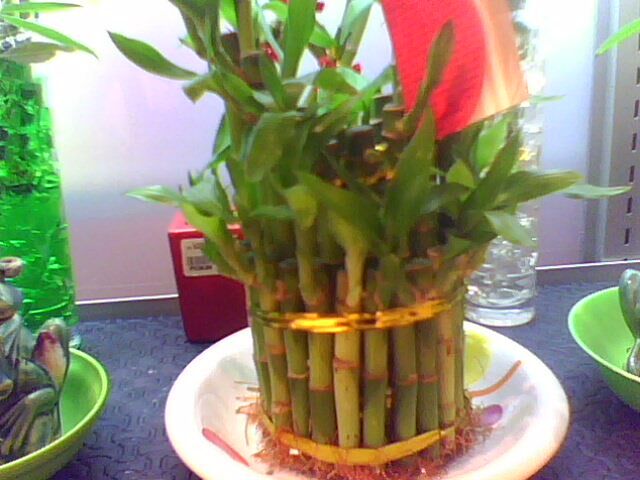 That's why to sustain the three lucky bamboo plants which were supposed to be in the third base, I used water!